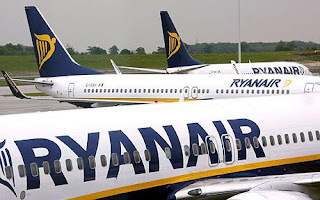 Arguments are brewing at this summer's General Synod on putting an end to 'Ryanair' style wedding fees where many churches add numerous hidden extras to the basic fee. It might well be a hotly contested debate and it is not clear what the outcome will be. While some are bitterly opposed to hidden extras like charges for heating, bells, and organists, others see an opportunity for the Church of England to extend the approach to Sunday Services. "This a great opportunity to enhance service satisfaction rates" said a former marketing consultant for RyanAire. "Entry to church services could still be free, but a range of enhancement options could make going to church more pleasurable while raising extra funds." Seating upgrades would be real winner with church-goers being offered a premium seating experience for a small additional fee. These seats would be near radiators, and come with a cushion - but in contrast to most theatre or concert venues, the most expensive seats would be at the back where demand is greatest. For the really committed however, a small number of comfortable seats could be made available instead of pews for a truly 1st Class experience. Other options could include Audio Commentary (from the ex church warden who is always muttering his way through services), Liquid Heating Aids (hot water bottles) in churches without heating, and Children's Activity Packs to keep the little blighters quiet. Most controversially, some have proposed a small additional fee for receiving Communion, but marketing consultants have pointed out that a change of £1 is less than half the cost of a drink at most Costa Coffee outlets. What is that compared to the promise of eternal life? Analysts have calculated that the average income from church-goers would increase from the current £8.63 per week in voluntary offerings to over £12 per week resulting in cash bonanza for most parish churches. "It's a win-win scenario" said a spokesperson. "We can raise funds, improve service satisfaction rates and appeal to the premier end of the audience spectrum." Loyalty Reward Cards will also be available with discounts for regular attenders. Love it - though almost too (potentially) true to be funny! I have had days when I would gladly have paid for that hot water bottle. I am thinking of freelancing at the church door at the start of winter services! Thank you both - I think that Suem's comment show that Lay Anglicanan is right! Perhaps the CofE should start a fanchise on hot water bottles?